In southwest China, a small suburb has become the hub of aquatic evolution. A 419-year-old fossil of a fish with a discernible jaw was discovered and is being called a ‘missing link’ in the evolutionary process. 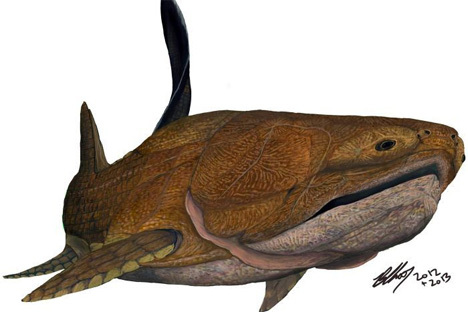 The giant, armored fossil of the Entelognathus is thought to be the earliest example of a recognizable jaw in a fish species. A member of the Placodermi, this armored class of sea dwellers was thought to have died out, resulting in a mysterious gap in fish evolution.